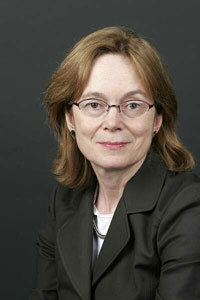 Elizabeth Lunbeck is co-editor of H-Madness and a historian of psychiatry and psychoanalysis. She is the author of The Psychiatric Persuasion: Knowledge, Gender, and Power in Modern America (Princeton 1994, 1996), and, with the psychoanalyst Bennett Simon, of Family Romance, Family Secrets (Yale 2003). She has co-edited several additional volumes, most recently Histories of Scientific Observation, with Lorraine Daston (Chicago, 2010). At present, she is completing The Americanization of Narcissism. Grants and fellowships from the John Simon Guggenheim Memorial Foundation, the National Institutes of Health, the National Endowment for the Humanities, and the Charles Warren Center, among others, have funded her research and writing. Lunbeck is Nelson Tyrone, Jr Professor of History, and Professor of Psychiatry, at Vanderbilt.